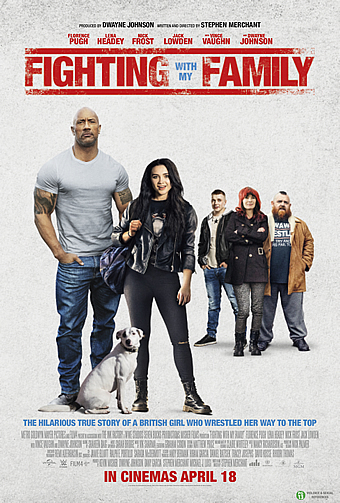 Synopsis: Based on a true story, FIGHTING WITH MY FAMILY follows reformed gangster Ricky, wife Julia, daughter Paige and son Zak as they make a living wrestling together in tiny venues. When Paige and Zak get the opportunity to try out for WWE, the family grabs a once-in-a-lifetime chance to turn their wildest dreams into a dazzling future. However, brother and sister quickly discover that to become superstars, both their talent and their relationship will be put to the test.FIGHTING WITH MY FAMILY is a heartwarming and smart comedy that proves everything is worth fighting for when it comes to family. Don’t let the subject of wrestling deter you if you’re not already a fan; this latest underdog fable is winning and uplifting regardless. Based on the true story of the World Wrestling Entertainment (WWE) star Paige (whose offstage name is Saraya-Jade Bevis), it chronicles how a Goth-styled female teenager from a working-class family in the English city of Norwich triumphed against the odds to make it into the WWE spotlight. 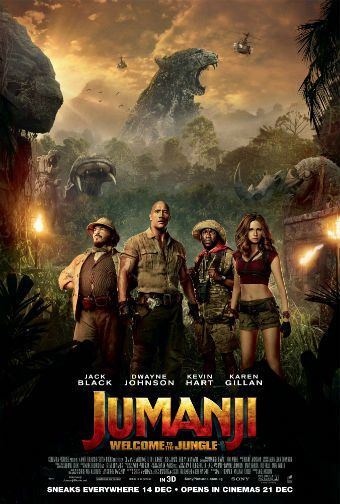 Many of the elements may seem familiar – including how Paige initially finds herself a misfit among the other trainees, tries to be one of them, fails and almost gives up – but writer-director Stephen Merchant tells the story with such sincerity and humanity that you’ll forgive its formulaic bits. Oh yes, as the title implies, Paige’s tale isn’t just hers alone, but also that of her family. Dad and Mom are a boisterously affectionate duo (played by Nick Frost and Lena Headey respectively) who nurtured her interest in the sport from a very young age by running their own not-so-lucrative minor-league wrestling outfit, which they name ‘World Association of Wrestling’. Her older brother Zak (Jack Lowden) shares similar pro aspirations as Paige does, and while hoping for their big break with the WWE, teaches local kids at the family gym how to wrestle, thereby keeping them out of worse company around the neighbourhood. Given how close Zak and Paige are, it is inevitable that their relationship will be dented when the former fails to make it through the WWE tryouts in London. Can we blame Zak that he is both envious and crushed at the same time? 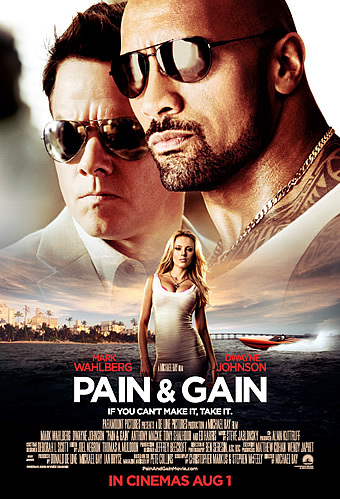 To Merchant’s credit, his movie is as much Paige’s coming-of-age story as it is Zak’s, as both these characters are forced to re-examine their motivations in life. On one hand, subject to grueling workout regimens and comparisons of her physical appearance with that of her fellow female trainees, Paige has to confront why and how much she wants to succeed; on the other, staring down the disappointment of professional rejection, Zak has to decide if and to what extent his life should be defined by his WWE ambitions. Within each of their journeys, Merchant finds both sobering and poignant lessons. Faced with a brutal reception at her first NXT match, Paige decides to ape her fellow female trainees by dyeing her hair blond and lathering on sunless tanning cream, but soon realises that she is wrong to stereotype them as airheaded models or cheerleaders. Whereas, Zak wallows in his depression about being rejected, neglecting his girlfriend and their baby as well as the neighbourhood kids who look up to him as an older brother, before recognising that there is too hope and fulfilment to be found in what he can do back in Norwich. That both Paige and Zak’s stories are as engaging as they are is also credit to Pugh and Lowden. Pugh lends her character convincing layers of emotional complexity, portraying her insecurities, frustrations and determination with alacrity. As her complement, Lowden brings real pathos to his character’s heartbreak, allowing us to feel all that conflicted emotions within Zak up close and personal. Merchant gives each of his actors room for their performances room to breathe and shine, and supports them with a strong ensemble, including a well-matched Frost and Headey who display perfect comic chemistry as Paige and Zak’s pair of unconventional parents, and Vince Vaughn as Paige’s tough but secretly emphathetic trainer. For those unfamiliar with the sport, ‘Fighting With My Family’ manages to be both honest and glorifying of professional wrestling at the same time. 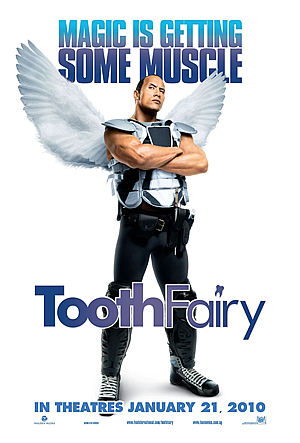 It is no secret that the WWE events and match-ups are choreographed (“It’s not fake, it’s fixed”, as one character puts it), and the movie even goes one step further to have its producer Dwayne Johnson proclaiming it as “soap opera in Spandex”. But it also emphasises that its performers do put in hard work, and the road to success comes with plenty of bumps and detours; of course, it helps that the one doing the extolling in a couple of well-staged cameos is none other than Johnson himself, who has a self-effacing charm that few, if any, other stars can match. 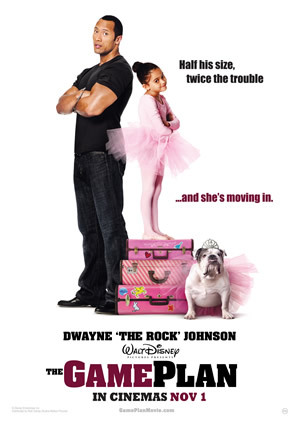 So, like we said, even if you’re not a WWE fan, this sports comedy/ drama will easily and effortlessly win you over. There is both heart and humour in the roller-coaster journey of Paige’s underdog triumph, and Merchant handles the emotional beats with surprising delicacy. Granted that the journey follows a familiar template, but that by no means diminishes how effectively crowd-pleasing sitting through Paige’s struggles all the way to her eventual shock win at the Wrestlemania Divas tournament. This is a fight worth experiencing and cheering for, and before the summer rage of superhero movies, an excellent reminder of the ordinary heroes whose victories are no less significant and inspiring.